Since its launch in 2008, the Wattbike has become an icon in elite sport. Initially designed in partnership with British Cycling, the Wattbike was immediately adopted by world class athletes and teams from sports ranging from athletics to rugby and boxing to bobsleigh. The unique design of the air resistance system combined with independently verified, reliable, accurate performance data immediately made the Wattbike to go-to choice for all testing, training and rehabilitation needs. Unlike a traditional static bike, the Wattbike has a freehub design which means only the power applied by the athlete is recorded and the athlete can stop pedalling instantly without any danger of injury. This makes the Wattbike the only bike suitable for max efforts, high intensity training and testing. In recent years, football clubs including Manchester City, Real Madrid, Bayern Munich, Tottenham Hotspur and countless more from all levels of the game have turned to the Wattbike and have all experienced the huge benefits the Wattbike can offer. 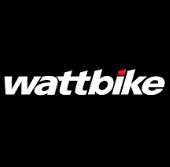 Wattbike sport scientists have also supported numerous clubs and national teams to understand how to introduce off feet conditioning into training schedules. The benefits of off feet conditioning has enabled players to prolong their careers, avoid injuries, recover from injuries quicker and achieve new performance levels both on and off the pitch.